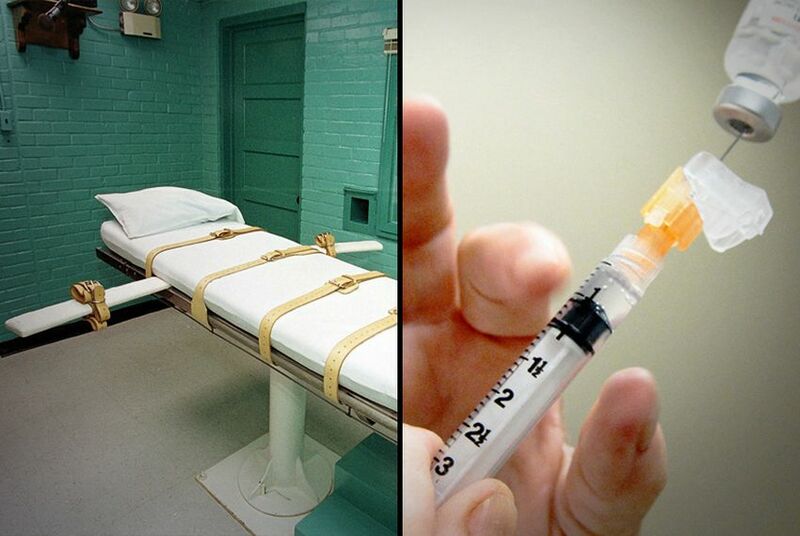 Earlier this month, defense lawyers claimed Texas was botching its executions with old drugs. Now, the Texas Department of Criminal Justice has stalled the release of information on how many lethal doses the state has and when they expire. The cloud of secrecy surrounding Texas executions has grown a little darker lately. After death penalty defense lawyers claimed the state’s first two executions of the year were botched because of old lethal injection drugs, the Texas Department of Criminal Justice has stalled the release of public information regarding the state’s supply of lethal doses. Without providing a reason, the department told a Texas Tribune reporter last week that it would take an estimated 20 business days — until the day before the state’s next scheduled execution — to provide information on how many lethal doses the state has and when they expire. In the past, the records have been provided in half the time, and even that could be unlawful. The Texas Attorney General’s Office handbook on the state’s public information law says that a governmental body must produce public information promptly, without delay. The handbook says it is a “common misconception” that agencies can wait 10 business days before releasing the information, as the Department of Criminal Justice has regularly done in the past regarding execution drugs. Asked for comment about the prolonged waiting period, TDCJ spokesman Jason Clark said Wednesday that the department fully complies with the Texas Public Information Act and that inventory logs of execution drugs are expected to be released this week, instead of the previously estimated date of Feb. 21. The Tribune requested the information Jan. 23. Nine days later, lawyers for death row inmate John Battaglia filed a last-minute appeal before his execution claiming that the state’s previous two executions used old, relabeled drugs for the lethal injection that likely caused one inmate to say he felt burning and the other to jerk on the gurney. Clark denied the executions were botched, saying both men lost consciousness almost immediately and were pronounced dead 13 minutes after being injected with pentobarbital, the drug Texas currently uses in executions. Battaglia lost the appeal, and during his execution he sighed and said, “Oh, here, I feel it,” according to The Dallas Morning News. The defense lawyers said in the appeal that the drugs used this year were more than a year past their “beyond-use date,” similar to an expiration date. (The lawyers also claim the beyond-use dates set by the state are "unscientific" and not viable). One batch of drugs was previously set to expire on Jan. 22, but more than a month ago, the drugs were re-tested and given a new expiration date of November, according to the Battaglia appeal. The TDCJ has said it doesn't discuss specifics on the current inventory of its execution drugs, but this testing has happened at least one other time in the past year, since it last reported a purchase of pentobarbital. According to TDCJ records received by the Tribune last year, drugs set to expire in July were removed from stock, and, on the same day, the same number of vials were added back to the inventory with an expiration date set for exactly one year in the future. Now, the public release of information on the drugs has been stalled. For a year, the prison system provided inventory logs and expiration dates to the Tribune regularly, releasing the information exactly 10 business days after it was requested, often just before 5 p.m.
Justin Gordon, head of the attorney general’s office's open records division, said government bodies can’t wait out the clock to release public information. Agencies must release the information “promptly,” which in most cases is sooner than 10 days, he said. He said the most common reasons agencies give for a delay is because a large request requires a lot of time and compilation or because the department is handling requests chronologically and has not yet gotten to a request yet, even if it's straightforward. The Tribune filed a complaint to the Attorney General's Office against TDCJ's repeated delays Monday. State Sen. John Whitmire, a Houston Democrat and chairman of the chamber’s Criminal Justice Committee, said through his chief of staff that he has questioned TDCJ about delays in execution information in the past and that the department has cited security reasons. The chairman of the Texas House Corrections Committee, state Rep. James White, R-Hillister, said he has no reason to believe the department would delay the release out of hostility or without legal advice. “I don’t see any reason why they would purposefully wait until the 11th hour or withhold this unless they have a lawful reason to do it,” White said. The Tribune has tracked Texas’ execution drug supply for about a year while states around the country struggle to find lethal doses to carry out executions. Though there has not been a shortage of drugs reported in Texas in several years, the state is always looking for new doses. The prison system is currently embroiled in a legal fight with the federal government over the attempted overseas import of another drug used in executions. In 2015, state legislators passed a law to cement an existing practice of shielding the identities of all people involved in executions, from the drug supplier to the one who inserts the needle. In lobbying for the law, the attorney general’s office said suppliers reported being threatened by death penalty opponents and wouldn’t sell to the state anymore unless their identities were kept confidential. The existence of any such threats has been disputed. White opposed the new secrecy law, one of only two Republicans to do so during the 2015 session. He said Tuesday that he wasn’t known as a cheerleader for the press, but transparency in government is important. In a statement in the House Journal explaining the reason for his 2015 vote, he said potential threats against drug suppliers do not mean the government can butcher accountability and transparency. The state is now appealing to the Texas Supreme Court lower court decisions that called for the release of supplier information before the secrecy law was enacted. Texas’ most recent order of compounded pentobarbital came from an unknown supplier last February, and it's unknown how long the same supplier had been providing drugs to the department. The most recent records on Texas’ inventory came from legal filings from lawyers with clients facing imminent execution. If the drugs set to expire in January were all given a new beyond-use date, there would likely be 12 lethal doses in the state’s supply, more than enough for the four executions scheduled through May. But that number can't be confirmed because the department has yet to provide the inventory logs.